Thursday, December 27, 2018 - Proponents of bioengineering and the genetic modification of crops insist that these changes improve farming, make crops more resistant to pathogens, give them a longer shelf life and enhance their nutritional profiles. They even go so far as to say that genetic modification is the future of farming and will ensure food stability for generations. Most of these modifications involve changing the structure of crops to enable them to tolerate spraying with herbicides and insecticides. Over 180 million hectares of genetically modified (GM) crops are currently being cultivated around the world, 80 percent of which have been modified to tolerate the application of glyphosate-based herbicides like Monsanto’s Roundup. Roundup Ready 2 – or NK603 – is a type of corn genetically engineered to withstand spraying with Roundup, and has been sold commercially in the United States since 2001. Very vague and superficial testing of GM foods and crops by regulatory authorities in the United States found this type of GM corn to be “substantially equivalent” to real, unmodified corn types. However, more in-depth testing by researchers in other parts of the world has revealed massive differences between NK603 and non-GM corn. This study raises serious questions about the long-term effects of NK603 consumption on human health. The researchers found clear, profound compositional differences in the GMO corn, showing that it’s not anywhere near equivalent on a molecular level to non GMO varieties. 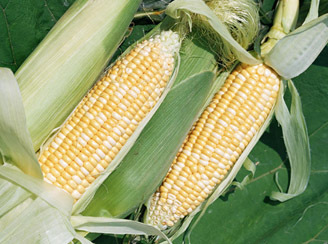 A total of 91 small molecule biochemicals (metabolites) and 117 proteins were found to be altered in the NK603 corn. These alterations were caused largely by an imbalance in energy utilization as well as oxidative stress damage within the cells. In addition to potentially posing long-term health risks for humans, genetically modified corn has also been found to be nutritionally depleted in comparison to its non-GM counterparts. Non-GM corn contains significantly higher amounts of essential minerals like manganese, zinc, copper, magnesium, calcium and iron than GM varieties. The soil in which this corn is planted has also been found to be far richer in essential minerals than soil depleted by the spraying of toxic glyphosate. A report by the De Sell Seed Company based in Ontario, Canada, concluded that GM corn is both nutritionally deficient and totally unfit for human consumption. It can be difficult in some areas to source non-GM corn, but the effort is well worth it, as evidenced by studies like these. And, of course, corn is just one example of how genetic modification dramatically (and potentially disastrously) alters the food we eat. It is always best to choose non-GMO, organic produce wherever possible.